I went to a small school in Ohio where our foreign language options were German or Spanish. I had the best German teacher ever. She was simply known as Frau, which is the German word for Mrs. or woman. She was very real with us students. We had a mutual respect that made being in her class so much fun. We may have never progressed beyond the level 2 book after 4 years, but we learned plenty! One saying that stuck with me is, “Man ist was Man isst.” (Can’t type correctly with an English keyboard.) It translates to the familiar, “You are what you eat.” When teaching this, Frau mused out loud, “If I am what I eat, then I’m fast, cheap, easy, and good!” Nothing could have caused a room full of teenagers to bust out laughing better. Clearly such lessons extend beyond the classroom. 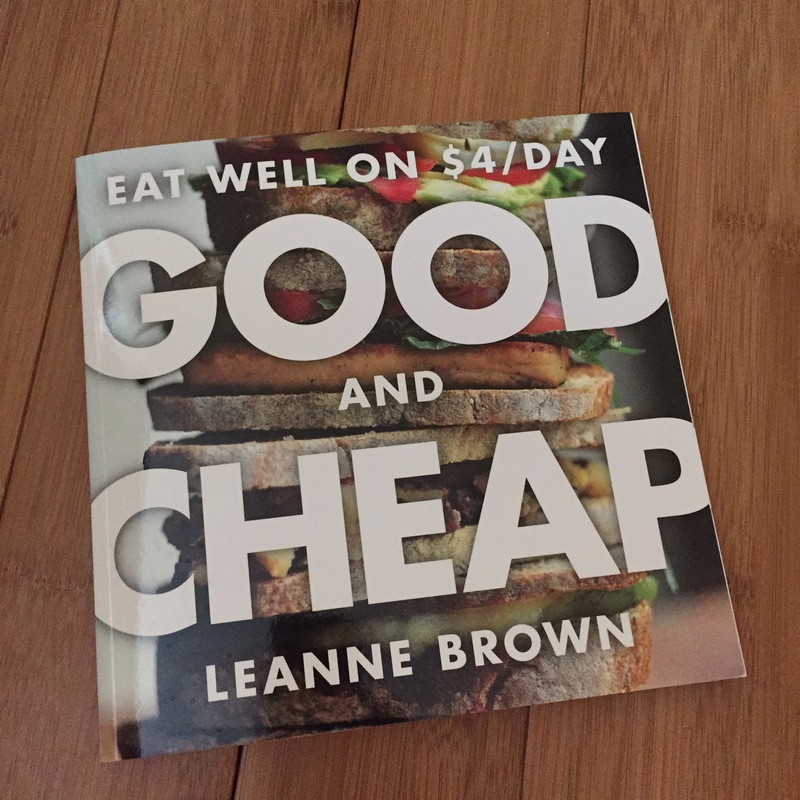 So I think of Frau when I purchased the cookbook, Good and Cheap: Eat Well on $4/Day by Leanne Brown. If you haven’t heard of this project, you must check it out. 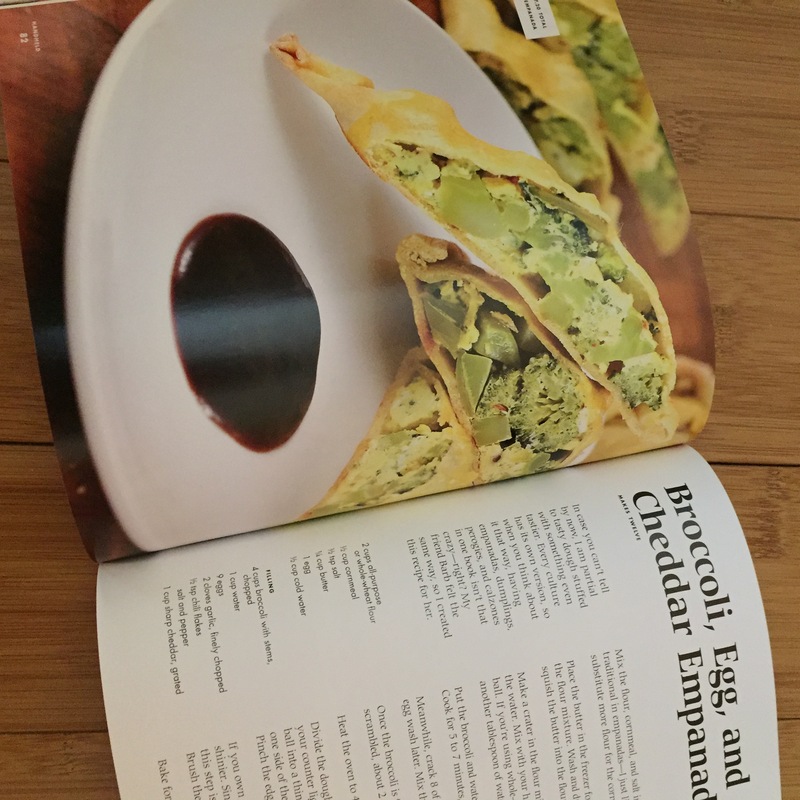 Food Studies student Brown put together an entire cookbook geared toward those on a restricted food budget, especially those on SNAP/food stamps. This project caught my attention because I tried to eat on a SNAP budget. My experience was merely an experiment to better understand what it might be like to eat on such a tight budget. So I backed the project with my $25 to help distribute the book to those who need it and got a copy for myself. I love the full color photos, the conversational style of the commentary, and the logical structure. 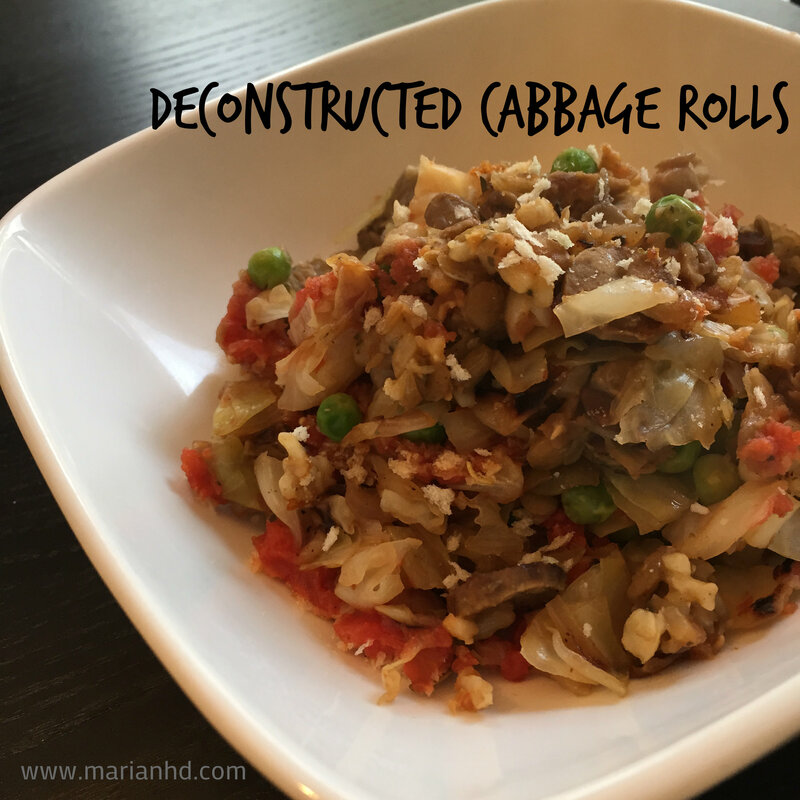 In my need to use a two-week old head of cabbage, I checked Good and Cheap’s index and found the recipe for Deconstructed Cabbage Rolls. I had almost all the ingredients on hand, it didn’t look hard, and it sounded like something the husband would really like. So I went for it, and added my own flair, based on Brown’s suggestions. 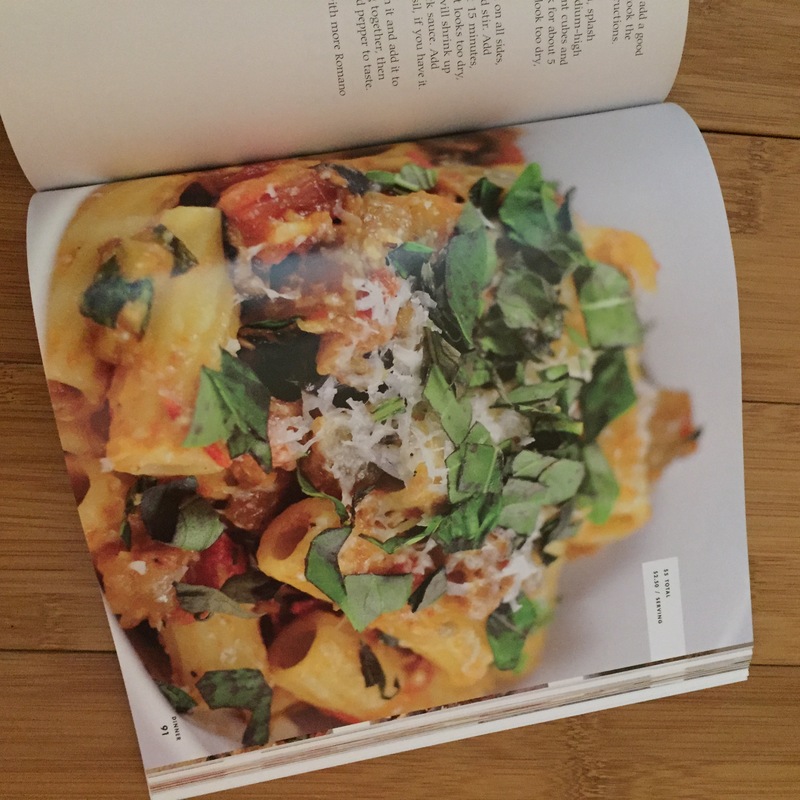 The entire cookbook is available for download for free at the link above. 1. If you don’t have cooked rice and lentils hanging around, cook them first. I like my rice cooker for the rice and used a saucepan for the lentils. Follow package instructions. Preheat the oven to 350 degrees. 2. Melt 1 tbsp of butter in a large skillet over medium heat. Meanwhile, dice the faux sausage. 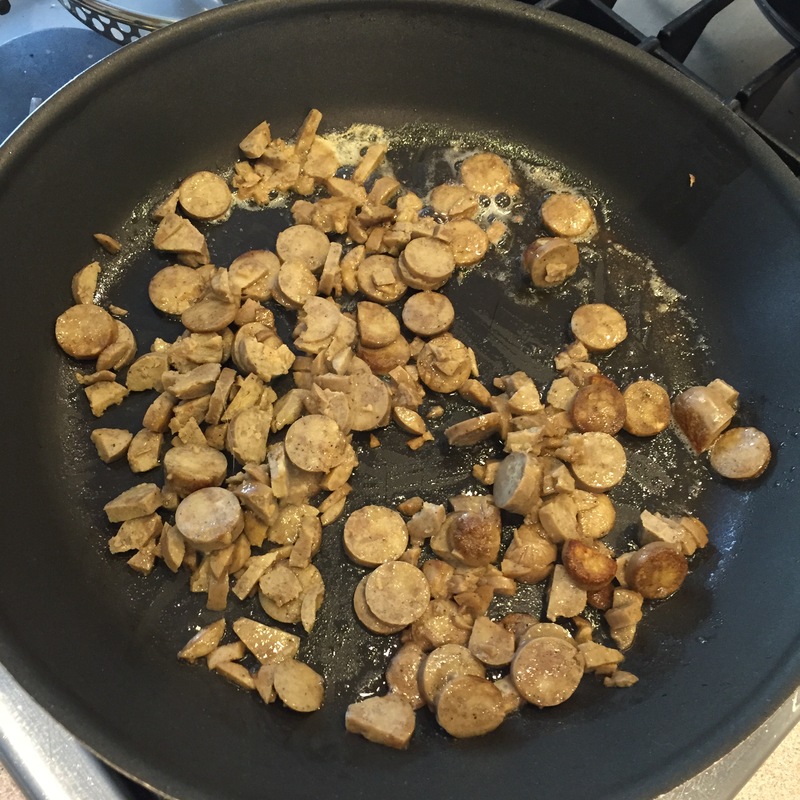 Saute the sausage in the butter until browned and slightly crispy. 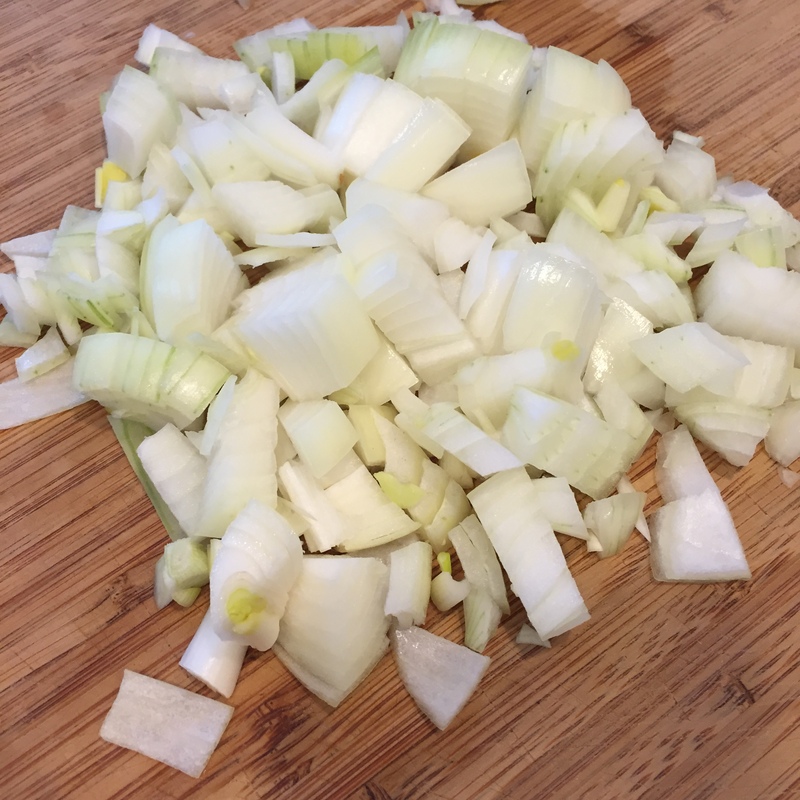 While that cooks, dice the onion and mince the garlic. Transfer the sausage to a large bowl. 3. Add the other tbsp of butter, onions, and garlic to the hot pan. Slice and dice the cabbage and add it to the onions once the onions are translucent. Cook the cabbage until it is fork-tender. 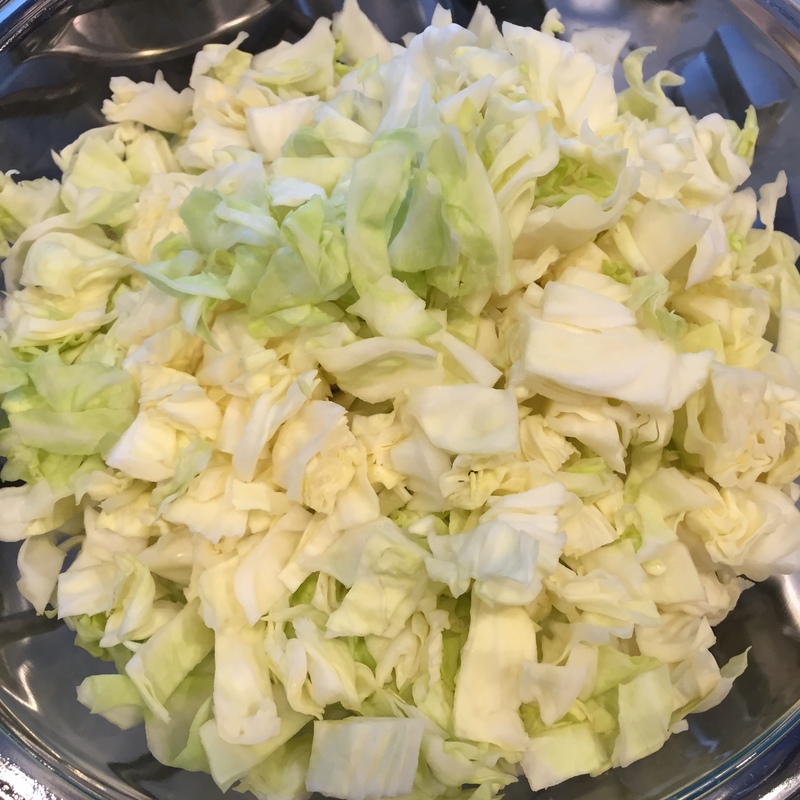 If the cabbage starts to stick or brown too quickly, add a 1/4 cup of water at a time and cover with a lid. Season generously with salt and pepper. 4. 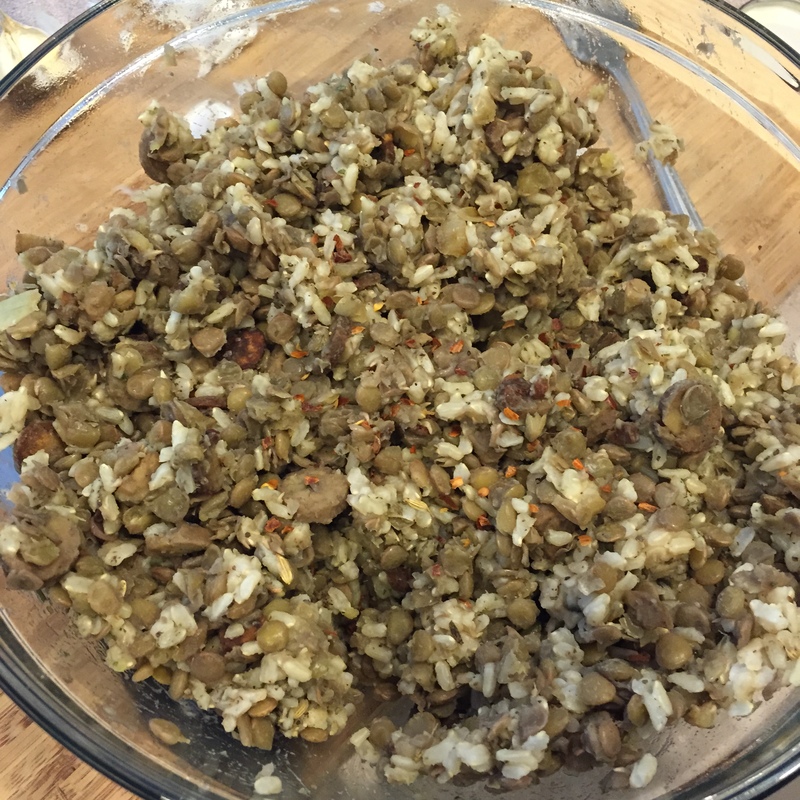 While the cabbage cooks, mix the rice, lentils, and frozen peas with the faux sausage. Add the salt, herbs de provence, fennel, white pepper, and red pepper flakes. Taste the mixture and add salt and pepper to taste. 5. Puree the canned tomatoes in a mini food processor or blender (or use canned tomato sauce). Oil or spray your casserole pan(s). Spread the lentil mixture first, then the cabbage, then the tomatoes. Top with more salt and pepper and the breadcrumbs. 6. 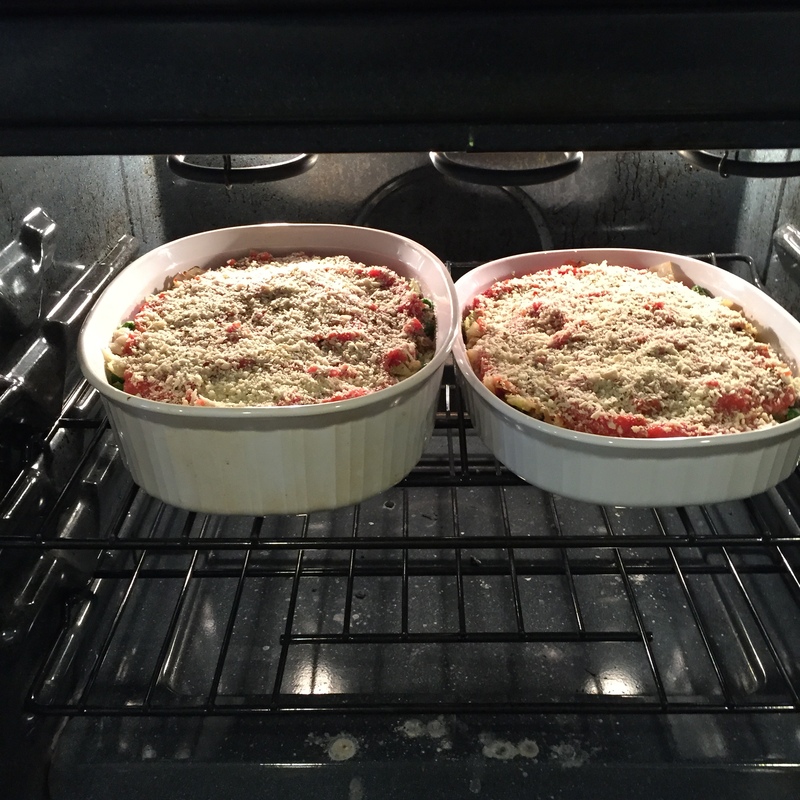 Bake for 30 minutes or until everything is hot and bubbly. This makes for great leftovers!